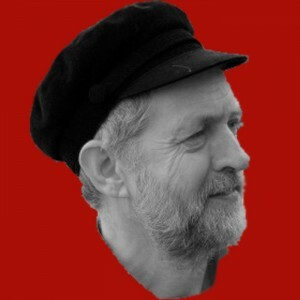 As the warnings about a Corbyn leadership become more and more hysterical, we need to ask – just how left-wing is Jeremy Corbyn? His critics may not like him much, and may doubt his appeal to the wider electorate, but there seems little in the policy stance he has adopted to warrant such extreme alarm. The fears voiced by his critics seem to depend for substance entirely on the critics themselves. Their warnings are likely to become self-fulfilling prophecies if we do not pause for a moment to examine what Corbyn and his supporters are actually saying. Writing in the Guardian, his ally, John McDonnell – presumably speaking with the authority of his leader – quite reasonably set out the substance of a Corbyn economic policy. So, how irresponsible and terrifying is it? It seems that – shock, horror – Corbyn and his advisers do not believe that austerity is the proper or effective response to recession. This is more or less the position reached by the IMF and endorsed now by a large number of reputable (even Nobel Prize-winning) economists. It is in essence no more than mainstream Keynesian economics. We can see the consequences of its rejection in the travails faced by an austerity-ridden euro zone economy. Corbyn also takes issue with the British version of austerity – the insistence that the wealthy should be spared, with the help of tax cuts and quantitative easing, from assuming any of the burdens or responsibilities for recovery, while both are heaped on the most vulnerable whose job prospects and living standards have taken massive hits. It is surely the merest common sense to assert that, if we are serious about a sustainable recovery, every shoulder should be put to the wheel. A Corbyn government would also recognise, it seems, that there is actually a point to electing a government that is ready to play its proper role in achieving a fair, balanced and productive economy. It’s enough to make the blood run cold! Yet surely, it makes sense for a government to use – alongside the private sector – its powers and resources to do the things that the private sector cannot, or at least will not, do. And isn’t it time that we reclaimed from an irresponsible banking system the central responsibility for a monetary policy that serves the interests of everyone and not just those of speculators of one kind or another? Why does so much of the huge volume of lending created by the banks out of nothing go on house purchase and asset inflation rather than productive investment? The fact that policies such as these create so much alarm and despondency among Labour’s erstwhile and would-be leaders tells us more about them and the current state of the Party than it does about the merits of the policies themselves. Oddly enough, the one point made by John McDonnell – and made forcefully at that – about a Corbyn economic policy that should give cause for concern is the acceptance of the priority to be given to eliminating the “deficit”. We must assume that it is there to pander to the ignorance of an electorate that has never been told that to treat the government’s deficit in isolation is an economic nonsense. John McDonnell, like almost everyone else, appears not to distinguish between the government’s deficit and the country’s. If we are to focus on a deficit, it should surely be the country’s failure – over more than three decades – to pay its way in the world. It is that deficit that measures our deep-seated economic failure, and that inhibits us from putting in place policies that would allow us to grow at a satisfactory and sustainable rate. Indeed, for as long as the country’s deficit is ignored, our recent experience confirms that the government’s deficit is virtually inevitable. An external deficit will exactly match the combined total of the private sector and government deficits; they are accounting identities. For as long as we have an external deficit (and there is no sign that anyone is proposing to do anything about it), a government that wanted to move into surplus could do so only at the expense of a larger and larger deficit for the private sector (that is, households and businesses) – and that would simply intensify the imbalance between consumption and investment and all of our other problems. The Corbyn economic policy platform is, in other words, disappointing, but only in this one respect. Far from being too left-wing, it is based for the most part on what is now becoming the new – less doctrinaire, more common sense – orthodoxy. And getting the economy moving properly is, in any case, the most likely way of getting the government deficit down. Its deficiency arises because it makes too big a concession to economic nonsense – but then, those other candidates who have had nothing to say of any consequence about the real issues of economic policy and who have left a vacuum for Jeremy Corbyn to fill can at least have something to agree on and applaud. Posted in: Economy, Labour, Macroeconomics, Politics, Trade. In challenging the economics of Corbyn, Mills has argued that public investment induced growth, particularly that which impacts the balance of trade, has not demonstrably shown productivity improvements in the past – or at least not proportionately so. I am not sure how such productivity improvements could be demonstrated, since by its very indirect nature infrastructure improvements become disguised by more direct investment returns. The response from the Left is then left only as the assertion that infrastructure improvements are obviously optimal ways to advance the manufacturing which is necessary for balance of trade improvements. Does this puts us on the back foot in the debate? Particularly when his explanation for the ‘strike in investment’ arises from the lack of productive investment opportunities rather than from willingness to invest. By lack of opportunities he presumably means perceived small profit returns on the investment. In my view, we successfully argue that further democratic state interventions is politically desirable, but do we not need to be more persuasive in showing how state investments do provide the actual returns hoped in addition getting the economy moving? I wonder is this is a partial explanation for McDonnell limiting the newspaper interview to just that. This was not the title which Bryan Gould gave when publishing this on his own site, when I read this and I think distorts the message. In fact it is confusing , because as Richard J Murphy and those who are experts in MMT explain the deficit is unimportant and that investment in people and pubic spending will bring about growth. mentioing the deficit is continuing Tory lies.